If you’re among the forty million Americans who wear contact lenses, you may feel like you’ve got a good grip on how to use your lenses. It can’t be that hard, right? After all, if they’re used correctly, contact lenses are among the safest medical tools a person can use to improve their body. However, there are some easily made mistakes that could cause you quite a bit of distress. Even if you’re an expert, life-long contact lens wearer, here are some things to consider in order to keep your eyes safe. In the end, how much are your eyes worth to you? Contact lens solution is pretty nifty stuff. It’s far more than simple saline—most major brands use either hydrogen peroxide or boric acid as its primary antimicrobial agent along with several other potential ingredients, such as ascorbic acid or edetate disodium. When you use contact lens solution correctly you not only prevent the growth of harmful microorganisms in the lens, but you also remove any protein buildup that can damage your eyes or make your lenses uncomfortable. First, don’t reuse solution. It’s sterile and maintains its cleaning and antimicrobial properties the first time you use it, but all of its cleaning power is gone after the first use. Throw the old solution out, and put in new solution. Reusing it is a silly way to save money and time, anyway, and could lead to discomfort or infection in the future. You can also visit the FDA website to learn more about recommended contact lens safety tips. Second, don’t transfer solution from its initial bottle to a different bottle—say, for example, a travel container. The bottle that contact lens solution comes in is sterile, and other bottles are usually not. This means that microorganisms can make their way into your eyes. Ick. Third, don’t mix the solutions. The different chemical agents in solutions can lead to a number of unintended consequences, the least of which could be damaged lenses or irritated eyes. Fourth, don’t use anything but solution to clean your lenses. Using water or saline solution—even if it’s distilled—can introduce amoeba and other microbes into your lenses, which can lead to serious complications. And, in case you didn’t know, saliva is among the worst things you can use to clean your lenses, since saliva is far from sterile. Fifth, and finally, a do: do speak to your eye doctor about which solution they recommend to clean your lenses. Certain solutions, when mixed with silicone hydrogel lenses, can lead to solution-induced corneal staining (SICS), which is about as bad as it sounds. Your doctor should have a recommended solution for your lenses, and if they don’t, find another doctor. There are several other precautions you can take to keep your eyes and contacts healthy and clean. For example—and this may sound like common sense—take out your contacts when you go swimming. Perhaps you feel like diving right in, but recall that the water in the pool, lake, river, or ocean you want to swim in is not at all sterile, and contains numerous kinds of microorganisms that would just love to make your contact lenses their new home. The same thing goes for showering. Always, always take your lenses out before immersing yourself in water. It may seem like an annoyance, but it’s far less annoying than developing an infection just to save yourself a moment of inconvenience. Another easily-overlooked step in caring for your lenses is washing your hands thoroughly before putting them in, taking them out, or cleaning them. No one’s hands are free of bacteria and other microorganisms, and most of the time that’s no big deal. It can be a big deal, however, when those friendly microorganisms that live on your skin get into your eyes. Just take the extra moment and make sure your hands are clean. It’s a good habit, anyway. Maybe your eyes have gotten dry or itchy, and you feel like using some eye drops. Eye drops can be great—but make sure that the eye drops you choose are contact lens safe. Using eye drops that aren’t made for use with contacts can change how the lens fits your eye, or worse, they can stain or discolor the lens. And lastly you should never share your lenses with friends of family. You risk exposing yourself and other to bacteria that can form on the lenses. Just say no. your eyes will thank you for it! You only get one set of eyes for your life, until science manages to make bionic eyes. For now, we’re stuck with what we’ve got. If you want your eyes to stay healthy while you’re wearing contacts, just remember that a little foresight goes a long way. 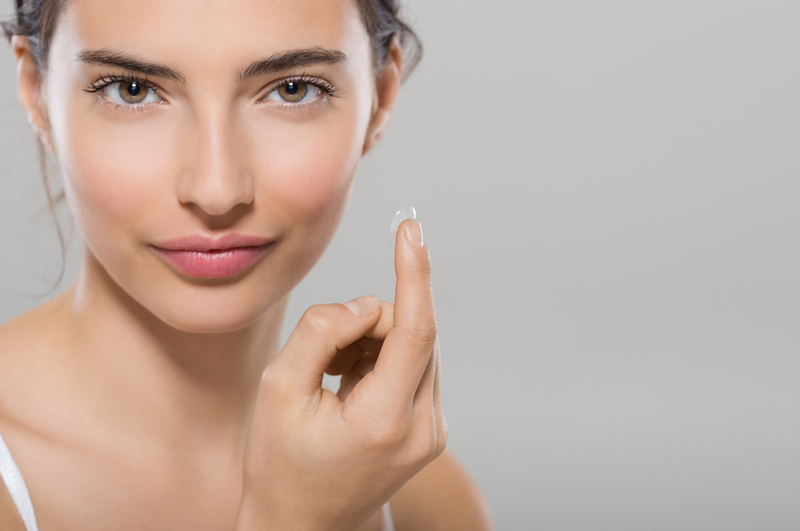 For more information on contact lens safety and the lenses that Orion Vision Group offers please feel free to contact us. To become an Orion Vision Group customer and learn more about our contact lens products, contact us at (866) 300-6257 or (678) 797-1099 to speak with a customer service representative.